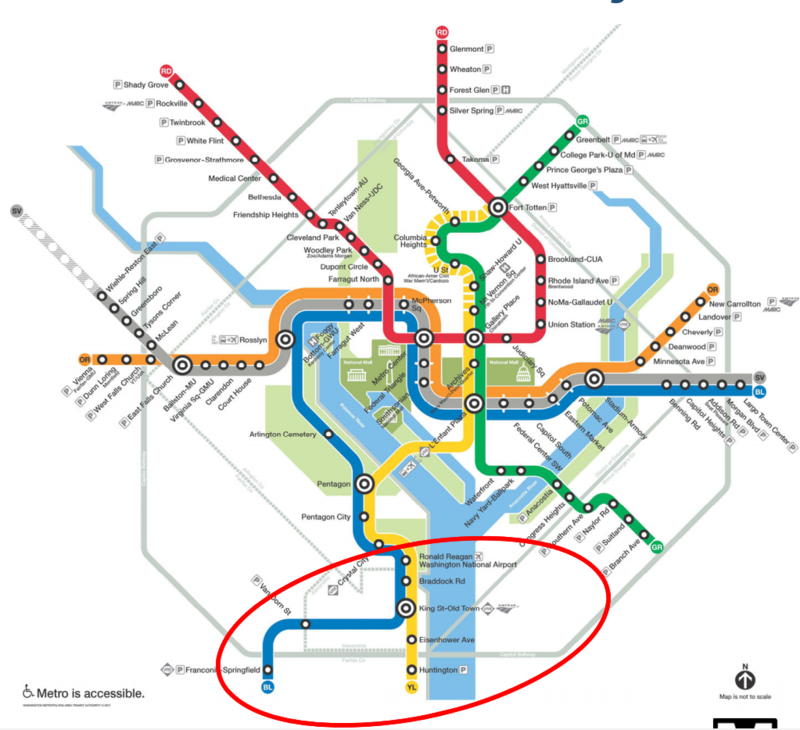 Major sections of the Blue and Yellow lines are shutting down next summer, and it's not too son to figure out how to get around. Here's what's being planned. SPRINGFIELD, Va. — As the Yellow Line returned to normal Monday, Metro also unveiled its message for next summer’s even larger Blue and Yellow line shutdown: We’ll get the message out, but won’t make the mistake again of telling some riders to avoid the system. “Just alert people of what’s coming, and then they start to plan,” General Manager Paul Wiedefeld said. “What we’ve seen over time is that people adjust pretty quickly to this, and we just wanted to make sure that they consider us still, where it makes sense for them, [and] where it doesn’t, obviously come up with another alternative,” Wiedefeld said. Already-declining ridership fell even more significantly starting in the first year of round-the-clock work zones that began in mid-2016, after Metro told riders on the disrupted lines to avoid the system during track work. 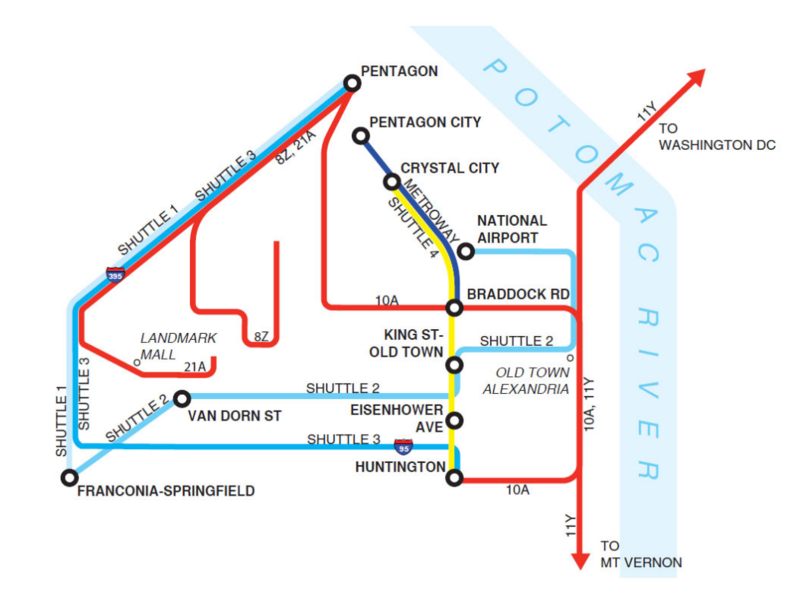 Next summer’s shutdown of the Blue and Yellow lines south of Reagan National Airport will run from May 25 through Sept. 2, 2019. Additional Blue Line single-tracking between Van Dorn Street and Franconia-Springfield is planned from Sept. 3 through Sept. 29. Metro estimates the closures will affect at least 8 percent of rush-hour riders alone, many of whom expect to instead drive to work. “Metrorail customers are now familiar with line segment shutdowns and the use of temporary service alternatives. Metro no longer wants to deliver the ‘stay away’ message that was required when the emergency SafeTrack program was introduced,” Metro Board briefing documents made available Monday said. The Franconia-Springfield, Van Dorn Street, Huntington, Eisenhower Avenue, King Street and Braddock Road stations will be closed for months. “The goal is to provide customers with more information about where service is running and what their options are for traveling around the shutdown, as well as information when service returns to normal and possible promotions to return to Metro,” the plan continued. 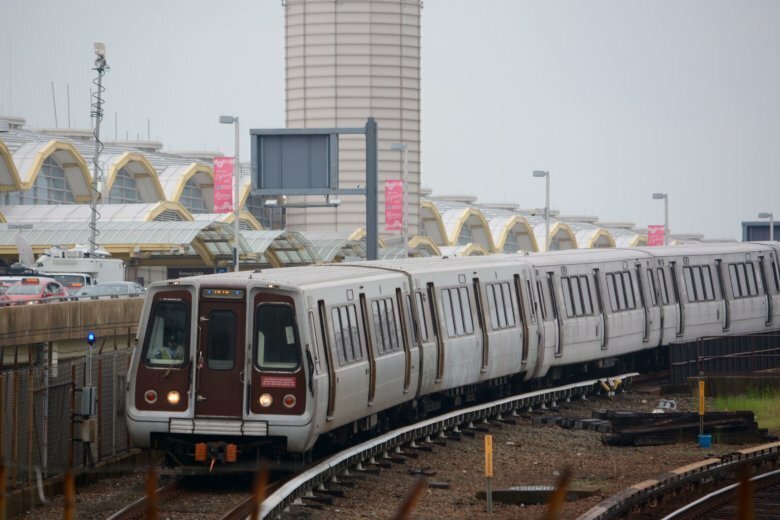 The promotions could include discounted fares or other incentives during the shutdown, and some type of demonstration of “appreciation for customer patience” to attempt to draw riders back after the closure ends. Metro expects about 60 percent of riders who usually take the train in the corridor to switch to some type of bus alternative during the shutdown. Free shuttle buses are planned to and from each of the closed stations, plus additional express shuttles between Franconia-Springfield and Pentagon and Huntington and Pentagon at all times the rail system is typically open. Metro would also add some additional rush hour or midday bus service on weekdays for Metroway, and routes 8Z, 10A, 11Y and 21A, according to a draft mitigation plan. Local bus services such as Fairfax Connector are also planning additional service. Planning is being coordinated through regional conference calls. Alexandria’s DASH buses would run one of the local shuttle bus routes, and may expand Old Town Trolley service. PRTC OmniRide buses would increase shuttles to VRE stations, and add contingency hours to deal with overcrowding. Arlington’s ART bus service would add buses on existing routes. A Metro survey of regular commuters with registered SmarTrip cards who use the affected stations suggested many riders will wait until closer to the shutdown to plan their alternatives, but that about 40 percent of those commuters already had looked into their options and more would soon. Metro concluded Twitter or Facebook posts would not be the best method to communicate those alternatives, and instead wants to focus on direct emails to riders or posters in Metro stations that would begin in the spring. In the survey, about half of riders said they may use shuttle buses; about 43 percent said they would drive their own car, and about 20 percent each said they may take VRE or a ride hailing service such as Uber or Lyft. The responses emphasize previous research that found traffic delays increase across the region during Metro closures. “I think some people will drive, but I think there’s bus alternatives; there’s just different things from a transit perspective that work for people, and so you just want to make sure they understand what those are,” Wiedefeld said. Virginia Railway Express has stops in Franconia-Springfield, Alexandria, Crystal City, L’Enfant Plaza and Union Station. VRE is looking into opportunities to expand capacity during the shutdown, after seeing significant ridership boosts during past Blue and Yellow Line work. “What we’ve seen so far is that the initial day is a little bumpy, but after that they start to adjust,” Wiedefeld said. He described ridership during the Yellow Line shutdown that ended Monday morning as remaining relatively high compared to past closures. All stations remained open for this shutdown. “Now we move beyond that, and we move on to the next one,” Wiedefeld said. As part of long-term track work planning now Metro is aiming to keep any single station from facing two long-term outages within a three-year period, with most 24/7 track work focused in the summer or holiday weekends.